In any industry, monitoring where your business currently is and where it’s headed is imperative. If you want to be a genuinely proactive business, you need to look continually at the revenue you have coming in now and how certain events will affect that in the future. For insurance agencies, this is done by projecting commissions. Hire support staff—is the agency making enough to hire more people? Find missed or inaccurate commissions—are there discrepancies between what the agency expected to receive vs. what was actually received? Overall, the ability to project commissions helps agencies confirm they are receiving accurate payments on what they have sold, better plan for future events, and be more proactive in its operations. To get started with projections, you will first create projection tables. 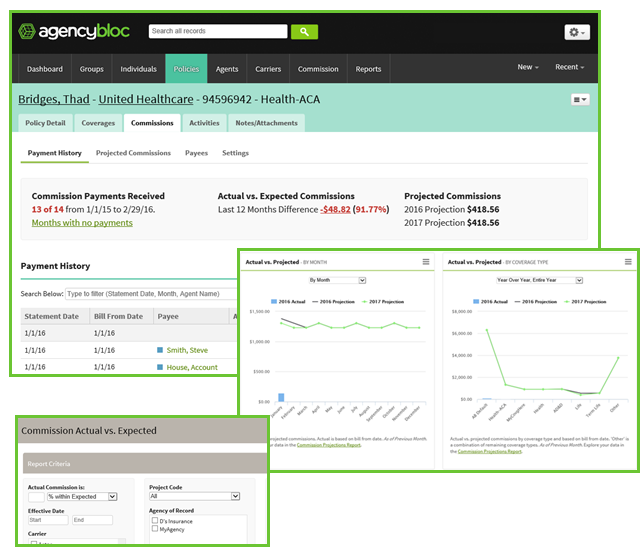 Projection tables provide the data for AgencyBloc to calculate the commissions you expect to receive. Projection tables use defined commission values to generate the results. Each projection table includes a duration of time, a commission type, and expected amounts. Projection tables work in combination with your policy data. To get the most out of using projection tables, it is important to make sure your policy data is current and accurate. 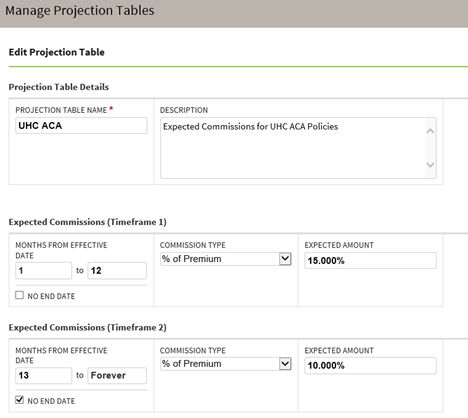 Once you’ve created a projection table, you will need to connect it to policies in your account. 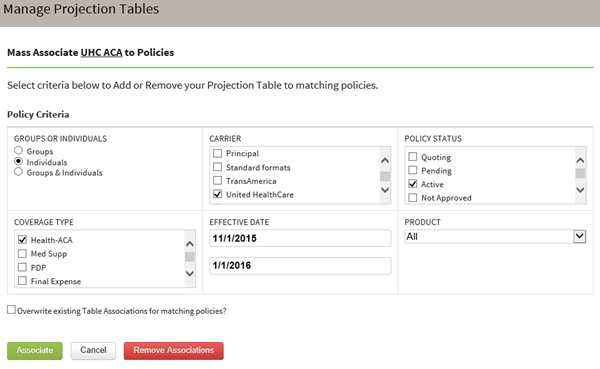 Projection tables connect to policies by using an associating action - this creates a connection between a policy and projection table. There are a two ways to associate a projection table with policies - selecting on the Policy Level or Mass Associating to a set of policies using criteria. 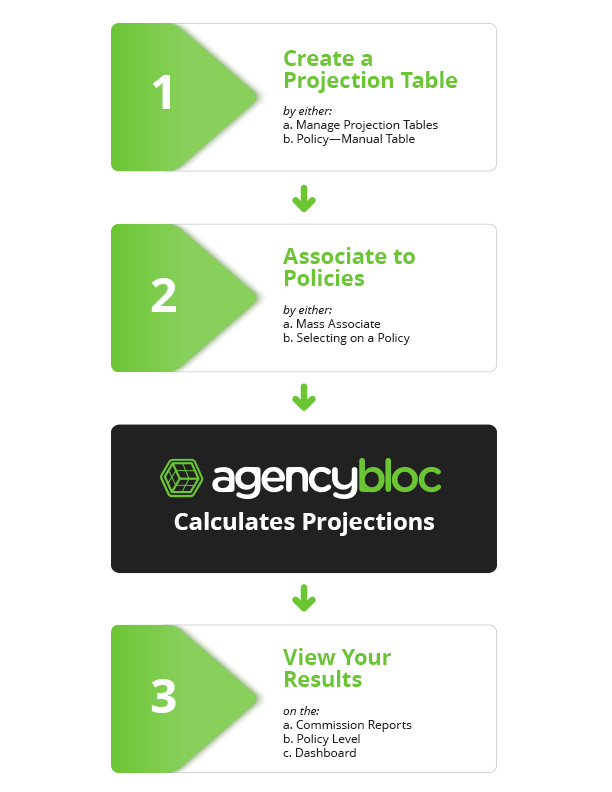 Your projection tables are setup and associated with policies in AgencyBloc. Now you are wondering, how do I use the results? Use Commission Projection reports to forecast future revenue and the Actual vs. Expected report to find policies outside a threshold of projected commissions.